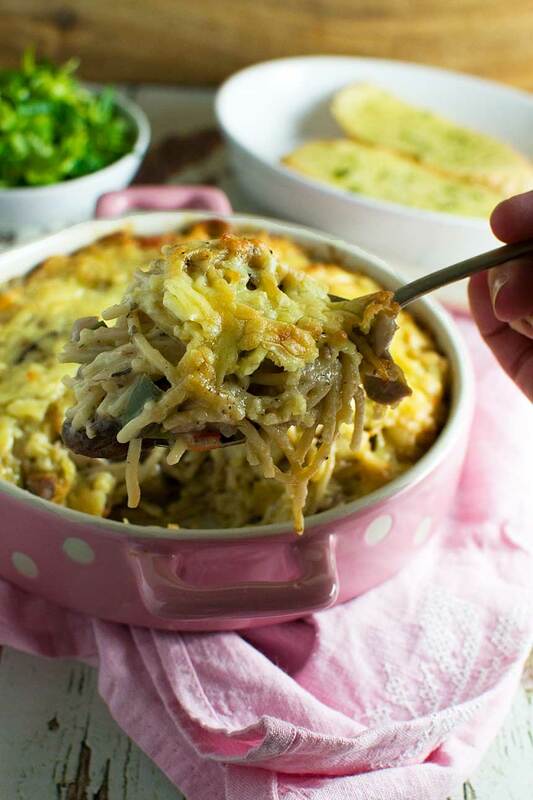 Spaghetti, finely chopped veggies, lots of cheese and…. wait for it… canned condensed cream of chicken soup (yes, really). But don’t be afraid. 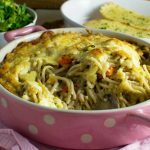 Baked chicken spaghetti is the perfect batch cook recipe and the ULTIMATE in tasty comfort food! Just because something’s a bit retro (in this case condensed cream of chicken soup! ), it doesn’t mean it isn’t still good. Really good! 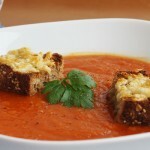 I remember having meals made with condensed soup when I was a child, and always loving them. 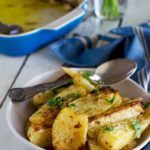 But then it fell out of fashion and I never thought to cook with it myself – until the last weeks of my pregnancy, that is! 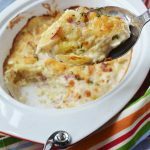 This baked chicken spaghetti made with cream of chicken condensed soup is a perfect make-ahead chicken recipe. You can prepare it up to sprinkling the cheese all over the top (LOTS of cheese! ), then freeze it for a lazy day. 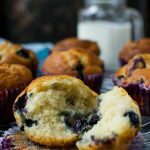 This easy make-ahead freezer meal almost literally saved our lives during the first few weeks after my son was born. Let’s face it, though, there are times when we all want to just grab a meal out of the freezer instead of making something from scratch. You or your child might be sick, you might be having an extra busy week, or maybe you’re just feeling lazy today. If this is you, this recipe might help you out! Especially if you have a big family. 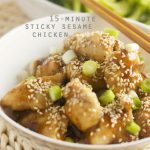 It’s one of the best freezable meals I know, but also one of the best kid-friendly freezer meals I know! Comfort food, yes, but not without goodness. Look at these gorgeous veggies! I came across the idea for this baked chicken spaghetti while watching an old rerun of The Pioneer Woman on daytime TV. I really like Ree Drummond. If you’re ever feeling a little down, watch an episode or two of The Pioneer Woman and you’ll cheer yourself up in no time! Ree has a way of making everything she makes look incredible, but she’s particularly good at these sorts of cozy, oozy, cheesy casserole type dishes. After snooping around on her blog for a while, I realised that this baked spaghetti recipe is about 10 years old. But no less delicious for it! I have adapted the recipe a little from Ree’s version, but essentially it’s the same. I love it for many reasons, but also because it makes EIGHT generous portions. So you can either make one huge baked chicken casserole, or you can do like I did and make FOUR separate meals for two (or 2 meals for 4, of course). Can you freeze chicken spaghetti? Yes, absolutely! This is mainly why I make it. I always assemble the chicken spaghetti in disposable foil trays to the end of step 6 in my recipe below, label the trays with the cooking instructions and throw them into the freezer for those days when we’re in desperate need of comfort food. But can you make your own condensed cream of chicken soup? If you do happen to have an issue with the canned condensed soup in this, or you have a little extra time, I’d highly recommend you checking out this recipe for a homemade version from the lovely Meggan at Culinary Hill. I was amazed how easy it is to make homemade condensed chicken soup, and I always trust Meggan’s recipes! 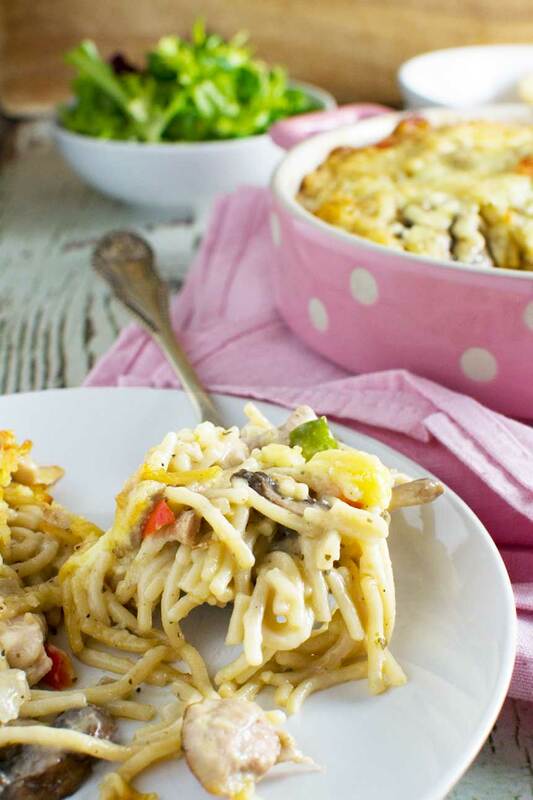 Baked chicken spaghetti is ultimate comfort food! It’s easy to make, and even easy to eat as the spaghetti’s broken up into short strands. No tiresome fork-twirling of spaghetti to contend with… yay! So grab a big spoon, park yourself on the sofa with your choice of box set and enjoy second helpings of this with a nice big slice of (shop-bought!) garlic bread and some crisp green leaves. There’s nothing wrong with a bit of convenience every now and again – even of the retro condensed cream of chicken soup variety! I wouldn’t be surprised if this baked spinach and ricotta pasta shells recipe became a firm family favourite! 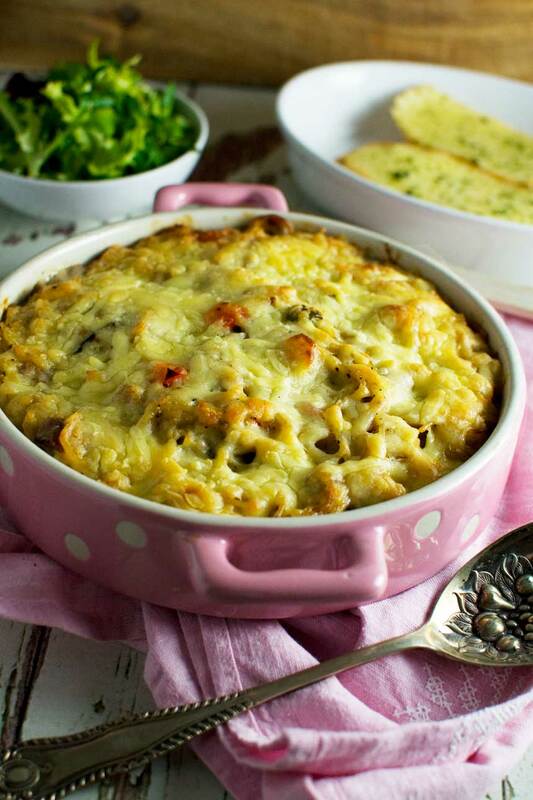 This easy moussaka is one of our favourite meals, and is perfect for freezing. 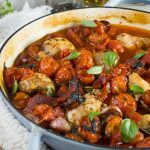 This one pan baked chicken with chorizo and tomatoes requires just a few basic ingredients, and you can easily make it then freeze it. 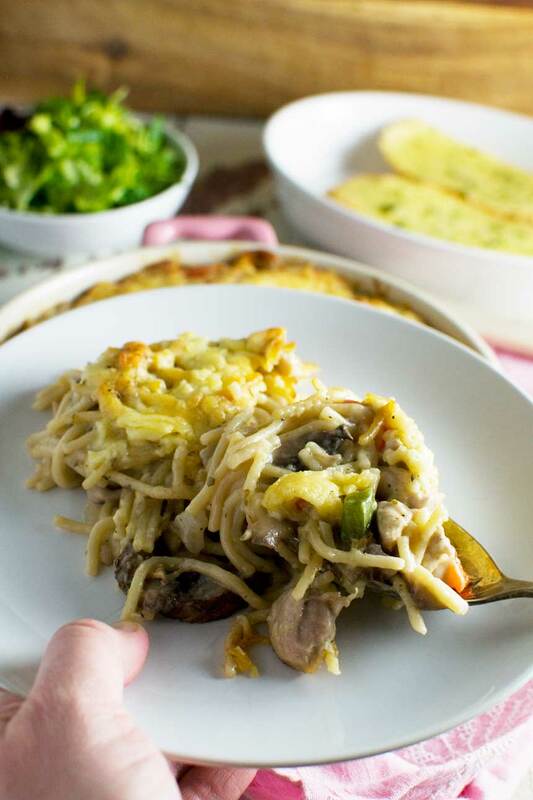 When you need an easy meal idea that the whole family will enjoy, or perhaps a stash of freezer meals, you won't go far wrong with this baked chicken spaghetti. 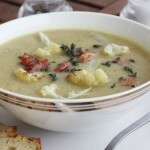 Add in some colourful veggies and condensed chicken soup for the ultimate comfort food! Pre-heat the oven to 190C / 375F. Heat a little vegetable oil in a heavy pan and stir fry the chicken until totally white and cooked through (around 4 or 5 minutes). Remove to a plate and set aside. Meanwhile, cook the spaghetti pieces in boiling salted water in a very large saucepan for a few minutes less than it says on the packet or until very al dente (around 6 minutes for regular spaghetti - don’t overcook as it’s going to be cooked again in the oven). Drain, tip back into the saucepan, add a drizzle of oil to stop the spaghetti sticking and put on the lid. 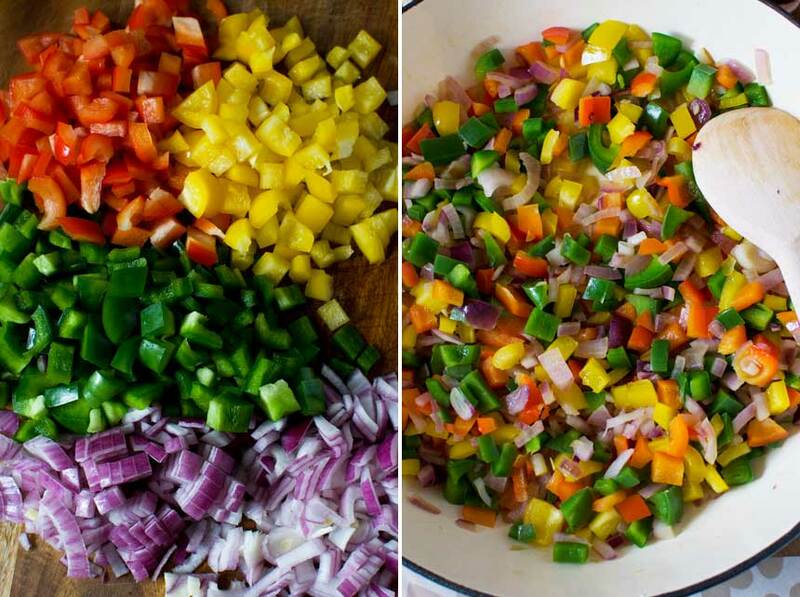 Add a little more oil to the pan and cook the peppers and onions together until softened (about 5 minutes). Add the mushrooms and cook for a few more minutes until the mushrooms have started to break down. Add the herbs and pepper and stir for a minute or so longer. Tip the vegetables into the saucepan with the spaghetti. Then add the chicken, soup, stock, and 1 cup of the cheese. Combine well. Spoon the mixture into your baking dish or dishes (see notes for suitable sizes to use) and top with the remaining 2 cups of cheese. Bake for 35 to 45 minutes or until golden and bubbling on top, then serve with garlic bread and salad leaves (if you like). Adapted from Pioneer Woman’s 2007 recipe for chicken spaghetti. This is a perfect freezer meal! To freeze, tip the chicken spaghetti into baking dishes or disposable foil trays, then sprinkle over the cheese, cover and freeze. I always write what it is, the date I made it and the cooking instructions on the top of the dish/tray. I usually defrost then cook as normal, but if you want to cook straight from frozen simply add on about 20 minutes to the cooking time. *Feel free to use cooked chicken instead, if you have it. 2 to 2½ cups is about the right amount. Just omit step 2 in the recipe and add the chicken to the cooked spaghetti along with everything else. **You could also use mushroom soup, or 1 can of chicken and 1 of mushroom. Your choice! Oh this looks incredible! Freezer meals are so handy, and hearty ones like this are sure to satisfy any craving. Hoping you get all you want to accomplish done before the healthy and safe arrival of your little one! Hi Alyssa! Thank you so much! Stand by for a photo! I had no idea you were expecting (where have i been). Congratulations!! Heinz cream of chicken soup was the soup I used to crave as a kid so this dish is right up my alley and it looks so comforting. I can’t wait to see your new baby. I know – it’s a great idea, isn’t it? Can’t wait to try other versions! P.S. Update on the bebe coming up! Quand j’attendais mes enfants, je nettoyé tout le temps, je voulais que tout soit parfait pour mon retour de maternité, c’est vraie, ont deviens des vraies fées du logis. Il y a quelque chose de sûre ton bébé va manger comme un roi (ou une reine) parce que tu cuisines merveilleusement bien! Take care! Il mange deja comme un roi, Eva! Je viens de publier une mise au point! Love that you made this meal ahead of time! Looks so delicious! Congrats on your beautiful baby boy! (I told you it is a boy!)! Hope you guys are doing well! Freezer meals like this are crucial for my sanity these days. The kids LOVE this one! So happy to hear this, Ashley! Thanks so much for leaving your feedback! My spouse grew up on chicken spaghetti and begs for it ALL THE TIME! 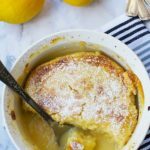 Love this updated recipe!!! The added veggies are brilliant! Oh really? So it’s an old classic, huh? I just thought it was a Pioneer Woman invention! So glad you like this version, though. Thank you! 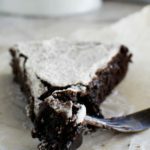 I love freezer meals and anything this comforting is a total hit! So glad you like the look of it, Lane! Thanks so much for leaving your review. Hi Gina! I wouldn’t recommend it because you need the oven to cook off some of the liquid, finish cooking the pasta, and brown the cheesy top. It may work in the microwave but I can’t guarantee it and I don’t think the results would be as good. You can definitely reheat in the microwave once cooked though! Good luck!